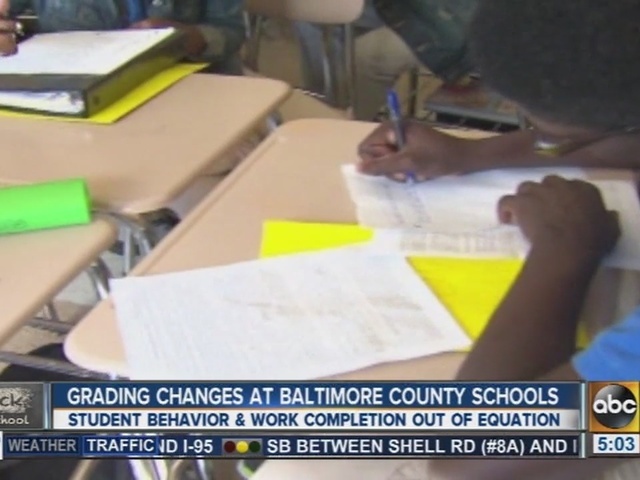 Baltimore County Public Schools revised its grading system to eliminate classroom conduct, missing assignments and teamwork skills from final scores. School officials issued a report saying the new policy aims to meet the needs of students’ varying learning abilities. Students will have time during the year to discuss their progress with teachers and evaluate grades before they’re given. Beginning this year, late or missing work, behavior and the completion of homework assignments will no longer be penalized. These factors will instead be evaluated in a separate section on report cards. Extra credit also won't be necessary, according to the report, as all students will have access to opportunities to improve their grades. “Turning work in on time, behaving appropriately, participating in discussions, and working cooperatively with adults and peers are all very important skills necessary to be successful in college and career. However, they do not assess the actual learning,” the new policy states. The report goes on to cite research that says giving students zeroes on assignments won’t help them motivate or learn at a faster rate. "How might we make sure that students are not being graded because they’re bringing in tissues, or that students aren’t being graded because ‘I came to class five minutes late, and because I’m five minutes late, I get a point deducted from my grade," Dr. Dallas Dance, superintendent of Baltimore County Public Schools, said following Tuesday night's school board meeting. 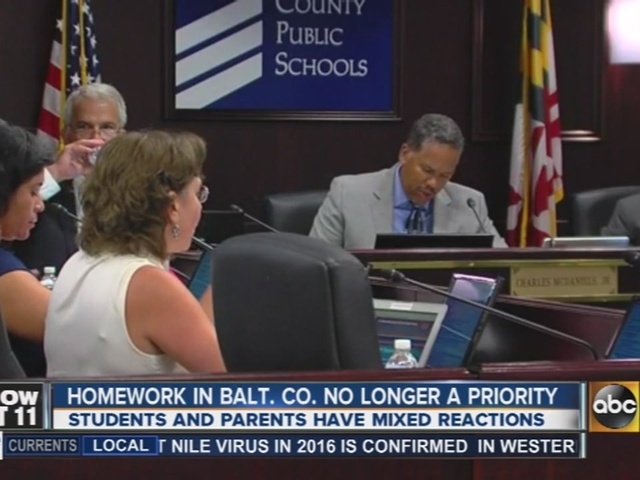 The president of Baltimore County's teachers union, Abby Beytin, also said she supported the policy. Reaction was mixed from parents and students at the board meeting. "It seems to me that it’s wanting to make everybody feel good about themselves, which is good and bad, i guess. kind of warm and fuzzy," said Darlene Yeager, a parent of a rising 7th grader at Dumbarton Middle School. 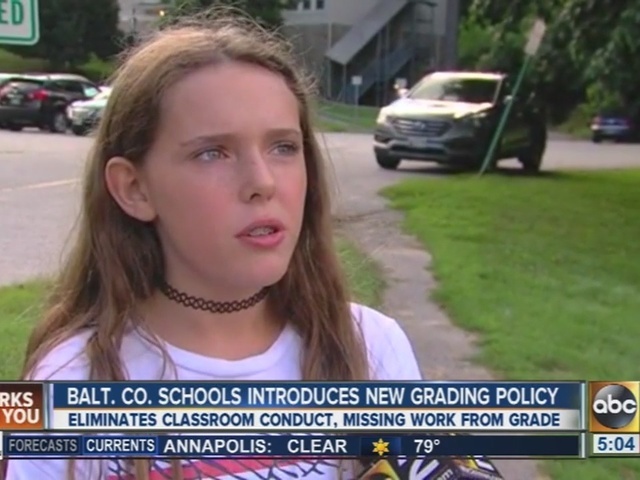 "I do feel like I’m rushed to the end result, that they give us too much work to do in one night, and then in the morning they expect us to have a test and remember all that stuff," said Helena Grimm, Yeager's daughter. WMAR Staff contributed to this story.